This had to happen. After giving ruining Christmas season for many gamers by acutely targeting and taking down two of the most cherished online video game distribution services and after giving a hard time to a few video game giants by attacking their online servers, the notorious black hat hacker group most widely known as Lizard Squad is finally being investigated by the Federal Bureau of Investigation for the attacks on PlayStation Network and Xbox Live that kept a larger amount of gamers from using their online services for extended periods of time. 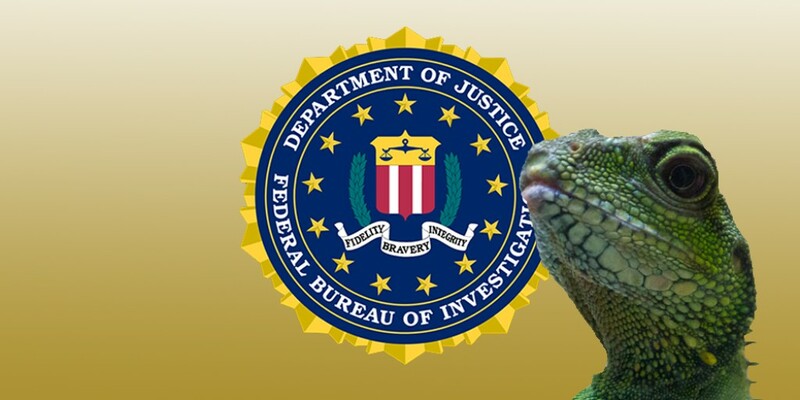 Lizard Squad, the notorious hacker collective which took responsibility for attacking the PlayStation Network and Xbox Live and knocking then offline for millions of users across the globe on Christmas Day, has been finally brought in for investigation by Federal Bureau of Investigation. The group had previously also claimed to have attacked and shut down online multiplayer servers for games like Destiny, Call of Duty and FIFA. Although there are currently no details about what is going on between the hacker group and FBI, a spokesperson for the bureau told GamesBeat about the investigation. Lizard Squad rose to notoriety after disrupting the normal services offered by several video game companies. The group carried out small attacks on two of the most important console video game content distribution services and on multiplayer servers of some online games. After a few threats, the hacker collective reportedly assaulted PlayStation Network and Xbox Live on Christmas with distributed denial-of-service (DDoS) attacks, which swamps a target with junk data and traffic that most servers can’t handle. Due to these attacks, both Sony and Microsoft’s online servers faced frequent outages and stood unresponsive for millions of gamers across the globe. The companies potentially had to pay millions of dollars in lost transactions and to cover the damages. Lizard Squad is turning the publicity it is getting for the recent PlayStation Network and Xbox Live attacks into profit by launching a DDoS-for-hire service where you can ask the hacker collective to attack any site of your choice by paying it a sum of $6. This is not the only profit that the group claimed for its activates, as just recently, Kim Dotcom, the owner of well-known data transfer site called Mega, presented Lizard Squad 3,000 lifetime passes to Mega in return for no more attacks on the online gaming networks. The group is now reportedly selling the passes for $30 each.